The so-called Premier League is allegedly led by the premiers of North West, Mpumalanga and Free State and is in favour of Nkosazana Dlamini-Zuma. 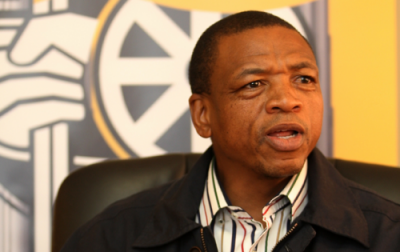 The ANC in North West has rejected claims that its chairperson and premier Supra Mahumapelo is part of the so-called Premier League in the ANC. This comes after reports emerged that the “Premier League” wants Limpopo premier and ANC provincial chairperson Stan Mathabatha removed as soon as possible. It is led by the premiers of North West, Mpumalanga and Free State and is in favour of outgoing African Union Commission chairperson Nkosazana Dlamini-Zuma. “Our provincial chairperson and premier Supra Mahumapelo has never been and will never be part of any nefarious political agendas to destabilise any structures or province of the ANC,” ANC deputy provincial secretary Susan Dantjie said in a statement yesterday. “Our provincial chairperson has held many productive meetings at both formal and informal platforms with his Limpopo counterpart Stan Mathabatha, who is also premier of Limpopo province, based on their good political relations. “As the ANC provincial executive committee (PEC) of Bokone Bophirima, we have on countless occasions indicated that people who have coined the so-called Premier League have nothing but malicious intentions to perpetually project the ANC as a factionalised movement. Dantjie said Mahumapelo and Mathabatha had discussed this matter over the phone and had agreed that these rumours are efforts of “yawning vampires” who seek nothing but instability in the ANC. “The two premiers have also agreed to meet in the near future and develop a more aggressive approach to the usage of platinum to deal with poverty inequality and unemployment,” she said.